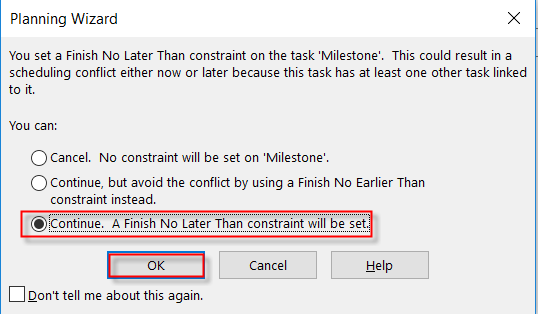 Milestone with “Finish not later than” constraint and Float Ii n MS PROJECT 2016! I have another question for you.Suppose you have a task with start date, for example, 7 Nov and 5d duration. 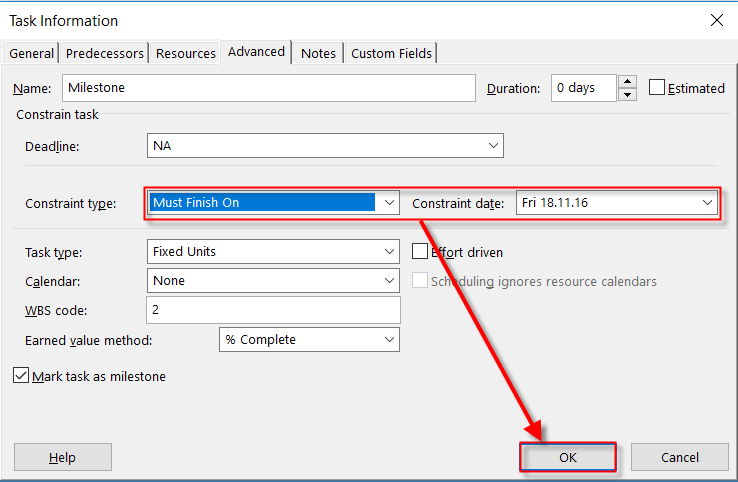 Its successor is a finish milestone with constraint ” finish not later than” 18 Nov.
No, it is not a bug, and I will show you why in MS PROJECT 2016! Now, Milestone has fixed date for finish, and it is 18.11.2016, and it should be not finished earlier, so Task has Slack (float) 5 days, e.g it can last 5 days longer! Hope this clear this issue up! This entry was posted in MICROSOFT PROJECT, MS PROJECT 2016, PMI, PRoject Management and tagged Micorosft Project 2016, Micorosft Project 2016 - constraints, Micorosft Project 2016 - Milestones, Micorosft Project 2016 - Schedule. Bookmark the permalink.